1. 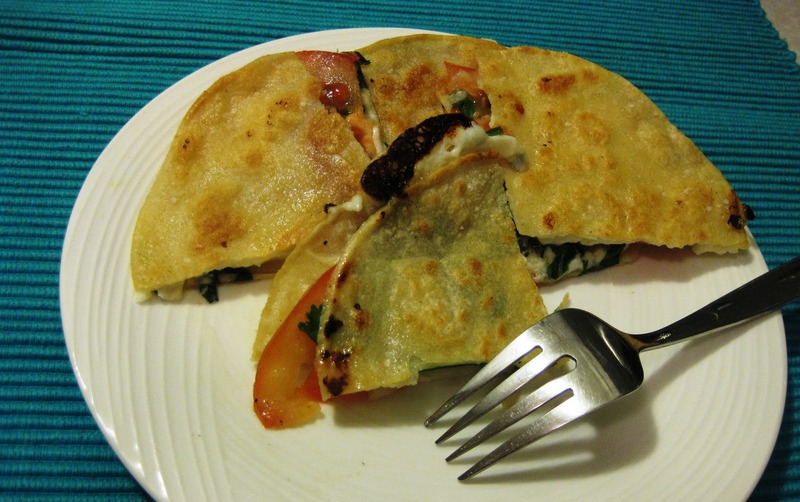 Assemble the quesadilla: tortilla, cheese, tomato, onion, cilantro, Parmesan, salt and pepper, cheese, tortilla. 2. Heat up oil in a non stick saute pan. Carefully place quesadilla, and slightly press with the spatula to hold it all together. Allow to cook for about 3 minutes. 3. 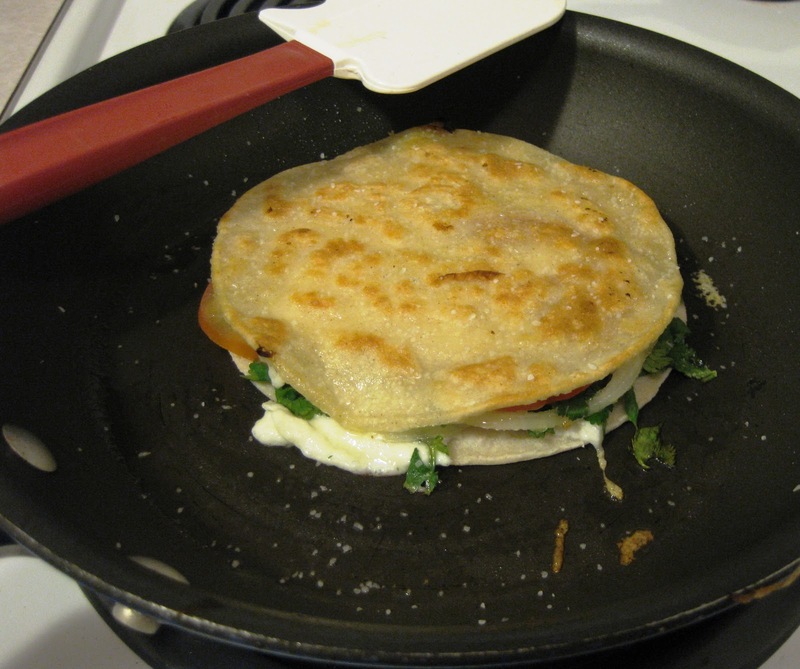 Carefully flip the quesadilla, lightly sprinkle with salt (does wonders for the taste) and cook for another 3 minutes. 4. Slide out on a board and cut. Put on a plate and eat (could it get any simpler?). Salsa and/or sour cream would go rather well with this, but I enjoyed it all on its own. I love quesadillas. My family is from Honduras and they often make breakfast quesadillas with cream cheese. Love it! I want this so bad! 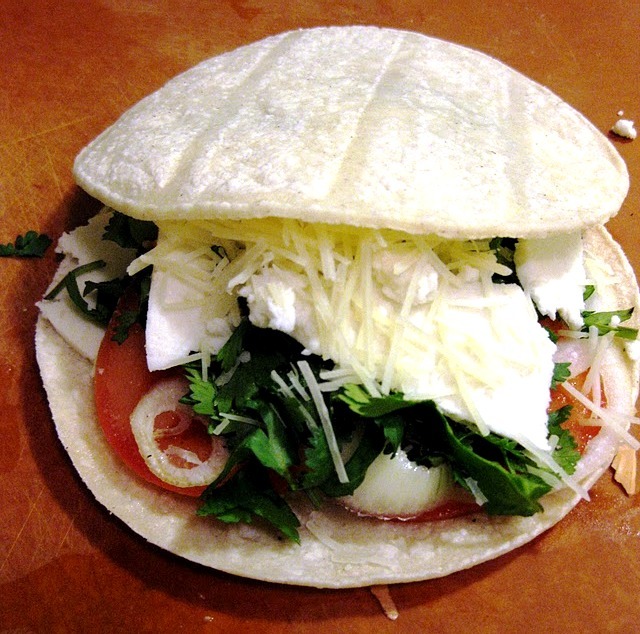 !Yum, yum, and yum!I can't get queso fresco but maybe I'll try it with another kind of cheese.